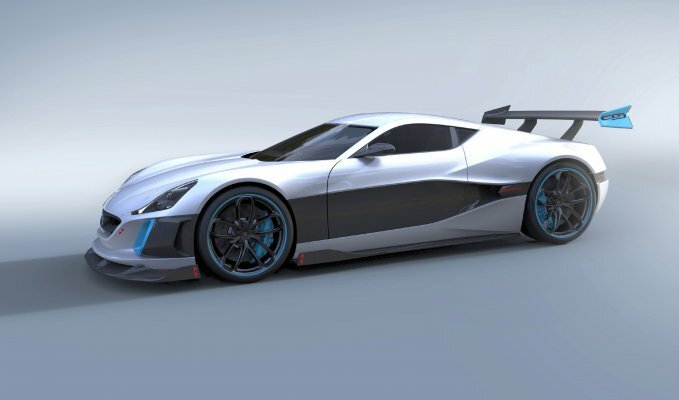 With the unveiling of the production version of the world’s first all-electric hypercar, the Concept One, Rimac Automobili unleashed its evil twin, the radical Rimac Concept_S. 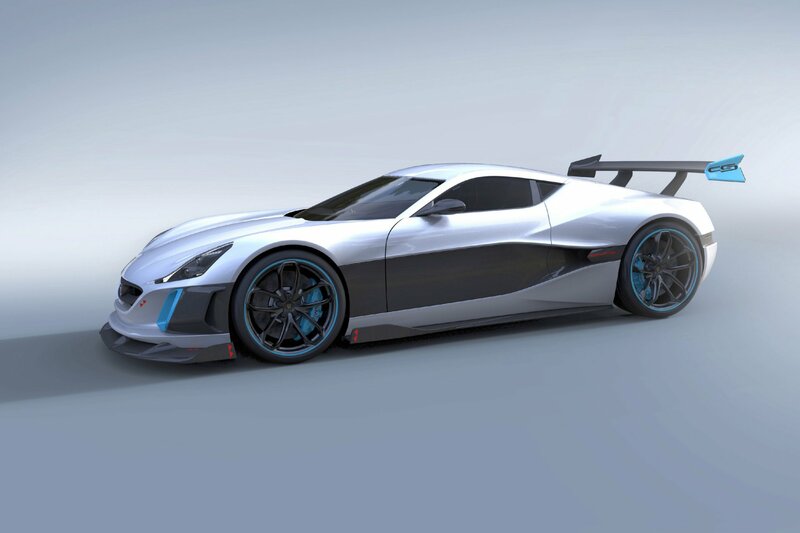 The Rimac Concept_S is built to utilize the maximum potential of the Rimac All Wheel Torque Vectoring system. 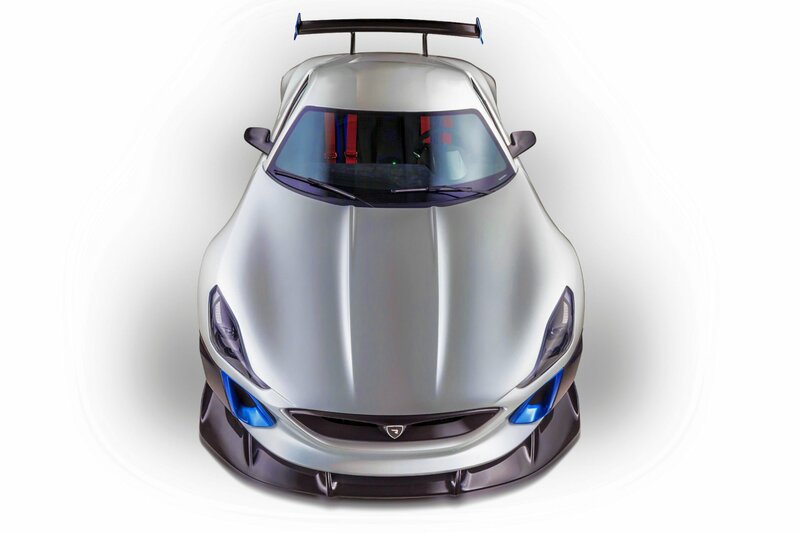 Compared to the Concept One, the Concept_S has 218 kW (296 hp) and 200 Nm more power and torque, 50 kg less weight, and an aggressive aerodynamic package. The aerodynamic elements enhance downforce by 34 % (up to 650 kg of load) which press the chassis to the ground. Combined with high-performance tires, higher levels of grip are enabled opening a wide spectrum of extreme setups for the Rimac All Wheel Torque Vectoring (RAWTV) system. With 1384 hp and 1800 Nm of torque, the Concept_S raises the bar of dynamic performance. 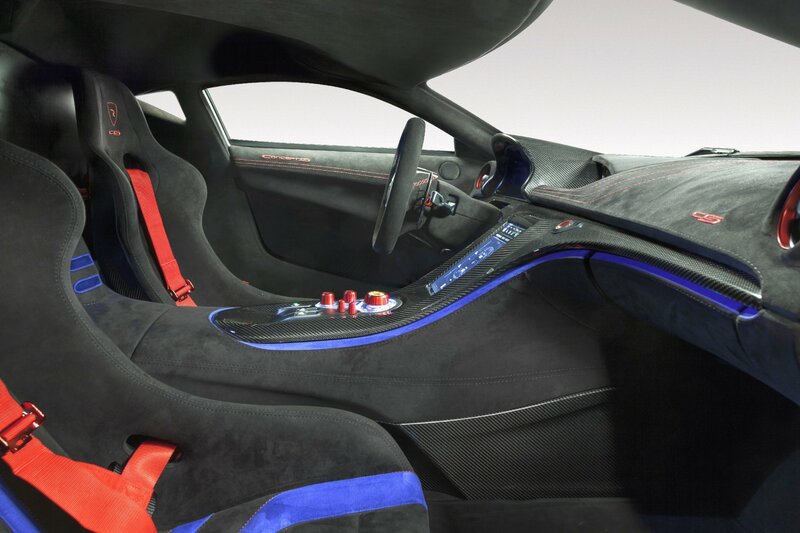 Concept_S is based on the Concept One that has been tailored to deliver the style and comfort of a GT car. Powerful, agile and adaptive, the Concept One offers a completely new driving experience of a hypercar from the future. The design features sleek, smooth but determined lines that enable great aerodynamic efficiency with low drag. The Concept_S has been redesigned to incorporate an extreme aerodynamic package and tires with even more grip, reaching maximum performance. 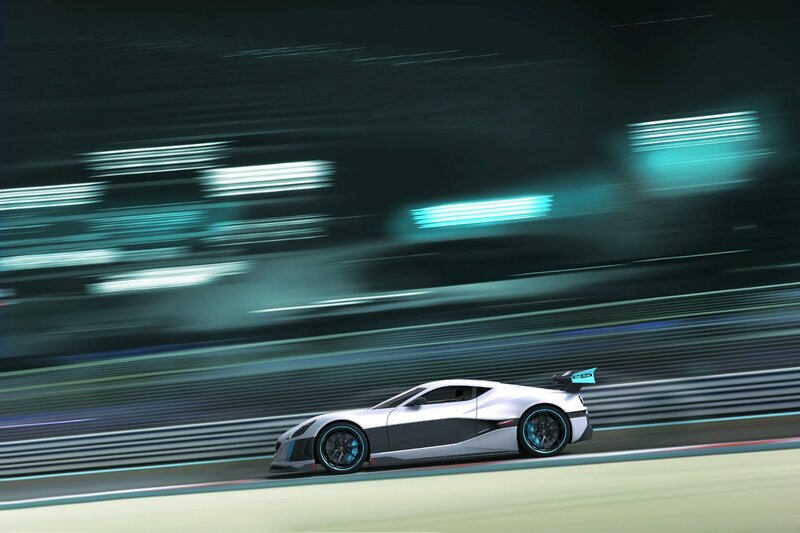 Rimac Automobili originates from the world of racing. The first car that turned its wheels coming out of, albeit, at that time, a small garage of Founder Mate Rimac, was the Rimac e-M E30. A converted 1986 BMW 3-series served as the test mule for numerous systems and was used by Mate Rimac to set five Guinness and FIA world records for electric cars. The Concept_S was developed within the extremely vertically integrated organization of Rimac Automobili, which enables a firm synergy between engineers from various backgrounds and departments to collaborate and find the best path to raise the bar. With the development of the Concept One, Rimac Racing stayed true to their roots, working on motorsport programs at the highest level. The hardest test for Rimac All Wheel Torque Vectoring was the Pikes Peak International Hill Climb Race in Colorado. Nobuhiro Monster Tajima drove the Tajima Rimac e-Runner, a race car developed by Rimac Automobili, on the Pikes Peak International Hill Climb 2015 and finished in front of all combustion engine powered cars. The invaluable experience gathered during the Pikes Peak project has been implemented throughout the development of the Concept One’s R-AWTV system. The result is a refined, yet powerful system that works in the background to enhance the natural potential of the vehicle. 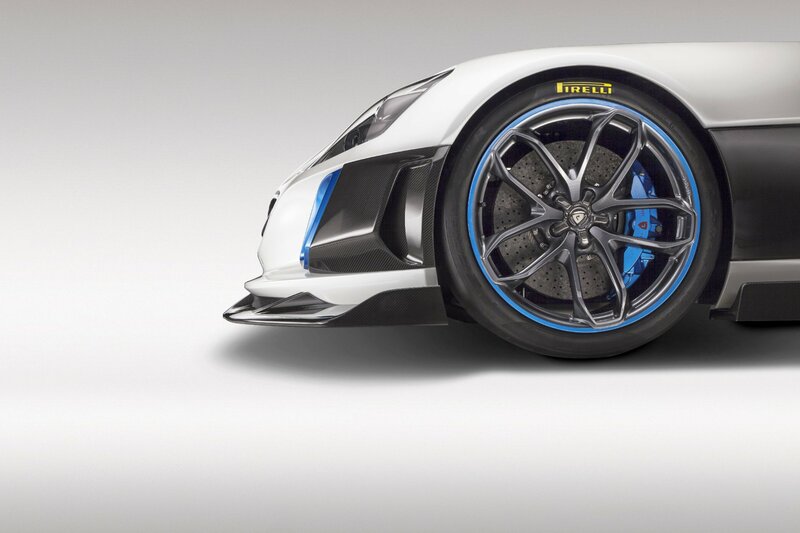 The experience gathered during the Pikes Peak program was implemented in the Concept One and adapted to suit the comfort and performance of a hypercar on road tires. 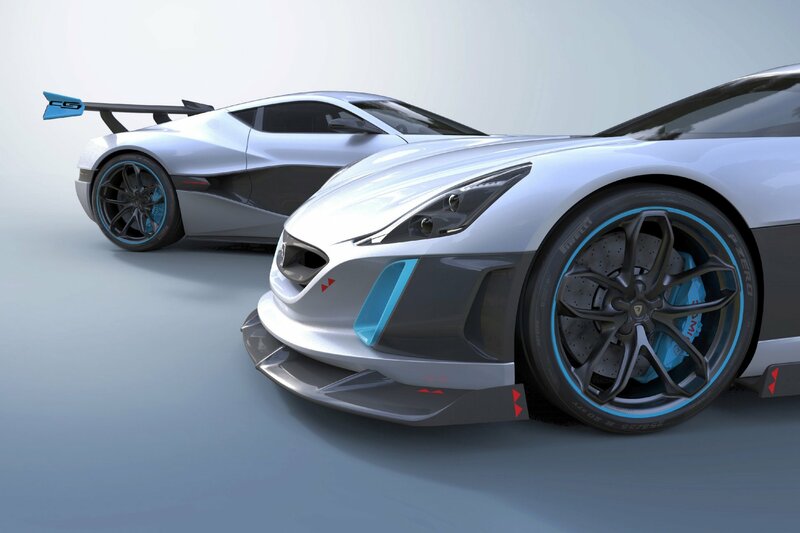 Knowing how much the RAWTV system can provide on racing tires, Rimac Automobili decided to awake the Evil Twin, the Concept_S. Featuring a big front splitter, air deflectors, side skirts, diffuser together with a large rear spoiler, the Concept_S comes with greater aerodynamic downforce. Different carbon-fibre materials and lay-ups are used to reduce the weight of bodywork by 7 percent. The interior is stripped of sound insulation with minimized use of materials and a toned-down design so that the driving excitement can take center stage. Racing seats with four-point racing harness ensure a fixed and focused driving position. Alcantara trim with red stitching and blue lines on the seats converge with the exterior details. The raw racing character is underlined by long stretched curved features of naked carbon fibre. The CNC machined buttons and knobs on the center console unit are anodized in red, enhancing the racing feeling and accompanying the focused infotainment system that projects only the most important information on the central display and the digital instrument cluster. 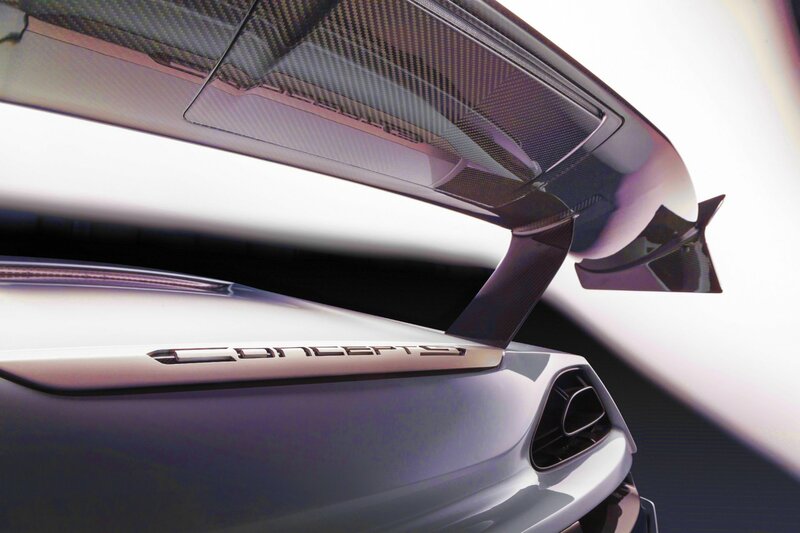 The Concept_S is all about maximum performance. 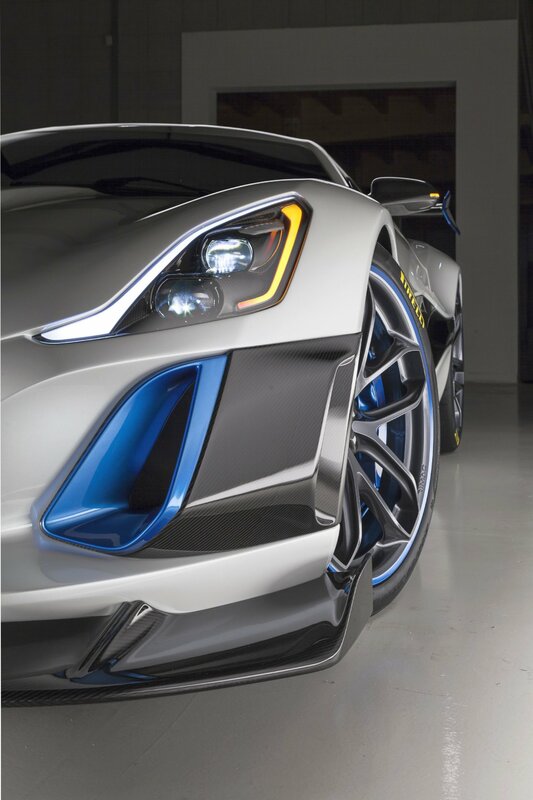 To enhance grip at high speed the Concept_S features an extensive aero package. It all starts at the front where the splitter cuts through the air and generates downforce, pushing the front wheels to the ground. The air goes over the splitter, through the front intake, over the first four of the 7 cooling systems and out just before the front windshield. Part of the air is deflected by the side deflectors around the car, and as it hits the side skirts, more downforce is produced. The air is then grabbed by the side intakes and taken through the three remaining radiators and exits through the rear lights. Warm air meets with the air flowing under the car after it has been lifted upwards by the rear diffuser, filling up the low-pressure zone behind the car, thus minimizing drag. As the Concept_S cuts through the air, the spoiler produces downforce for the rear end, giving the rear wheels more grip needed to put the 1384 HP down to the ground. All this increases the downforce by 34 percent compared to the Concept One, enabling grip levels of a high-performance racing car. More downforce not only enables more performance capabilities but also increases stability and safety at high speeds. With 34 percent more downforce and high-performance tires, the Concept_S unlocks an even wider range of vehicle dynamics possibilities. Incorporating the experience gained at the Pikes Peak Hill Climb Rimac Racing introduces a more radical, bespoke R-AWTV_S system. 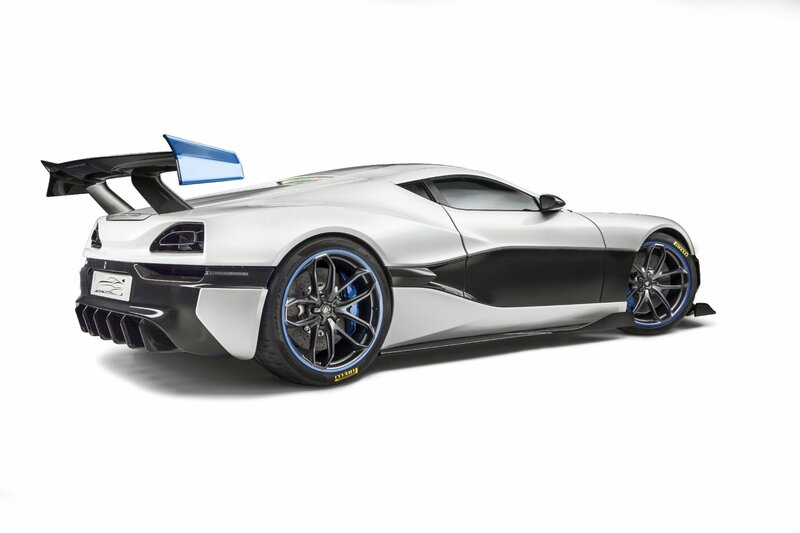 Distributing a total of 1018 kW / 1384 hp and 1800 Nm of torque, the Rimac All Wheel Torque Vectoring_S (R-AWTV_S) system precisely calculates the optimum torque for each wheel. R-AWTV_S uses inputs from several precise sensors strategically positioned around the chassis and suspension to calculate the optimal torque distribution between the wheels through complex mathematical models and control algorithms. The system provides unseen flexibility and grip by controlling each motor individually one hundred times per second. This enables the Concept_S to accelerate from standstill to 100 km/h in just 2,5 seconds, to 200 km/h in 5,6 and to 300 km/h in mesmerising 13,1 seconds. The R-AWTV_S functions as a traction control, stability control and “electric ABS” system which also commands the 4-wheel regenerative braking of up to 400 kW that works together with the carbon-ceramic braking system. To match the character, innovation excellence and performance of the Concept_S, a truly bespoke infotainment system was developed and manufactured in-house. All vehicle dynamics and powertrain functions such as the Rimac All Wheel Torque Vectoring_S system are controlled through physical buttons, machined from billet aluminium while secondary functions are controlled through the central touch-screen. The system shows an abundance of information through beautifully optimized graphics and gives insights into the Concept_S’s nervous system. Browsing through the menus on the central display, the driver can change the settings of the Rimac All Wheel Torque Vectoring_S system, brake force distribution, torque distribution, as well as various other functions. By changing the settings, the driver alternates the nature of the car depending on his preferences, from a calm and neutral setting to a track-oriented setup or the extreme drift mode that helps experienced drivers to have fun on a closed track. Compared to the Concept One, the interface is more driving orientated, by focusing on data that is most important for spirited driving, thus keeping the driver focused on driving and maximizing his performance on the race track. The Rimac Infotainment system gathers information from over 500 different sensors and displays them in an optimized way to inform the driver with minimal distraction. The data is stored in the internal memory and sent to the Cloud via high-speed 4G Internet link. The telemetry data can be analyzed during or after a lap on the racetrack, via the touch-screen, a PC or smartphone.